Features&recomendation with food: Refreshing and smoothing day time tea. Pasta, dried fruits, sweet snacks. 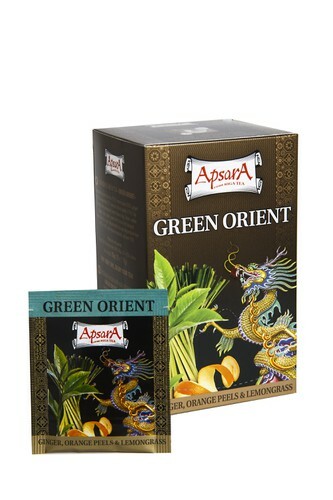 Product highligths: Green tea and delicate tasting notes of different spices. Traditionaly teas is spiced up of many cuisines arround the Orient. Teas are packed with highly sofisticated device, providing evey tea bag with a knoted string and tag. Envelopes are sealed for freshness and protection of tea.